BEIJING -- Aston Martin is seeking a joint venture in China to help break into the world's biggest market for EVs, CEO Andy Palmer said. 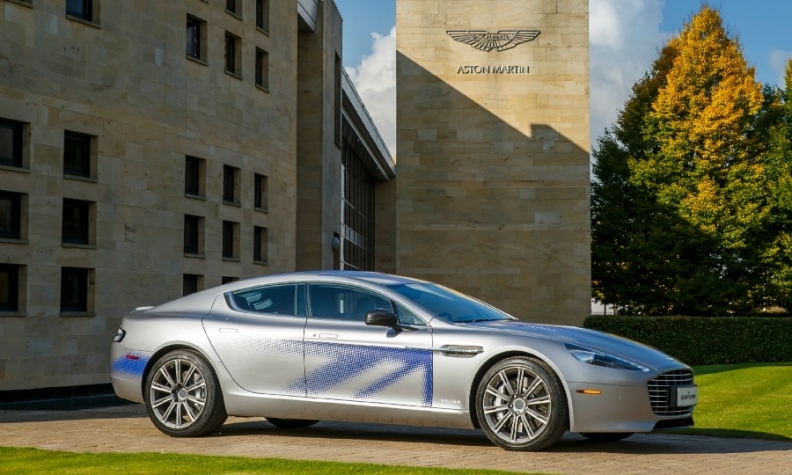 While Aston Martin doesn't have plans to produce EVs bearing the UK company's badge in China, it is seeking collaboration to share its lightweight materials and aerodynamic technologies with the Chinese partner as China looks to improve the performance of EVs, Palmer said. Talks are underway with established automakers and startups, the CEO said. On Wednesday, Aston Martin announced a five-year trade and investment drive worth more than 600 million pounds ($856 million). The company currently imports models such as the Vantage for sales in China. Aston Martin's full-year sales rose 58 percent to 5,117 last year, hitting their highest level in nine years as the firm pursues a turnaround plan which could propel it towards a future stock market flotation.